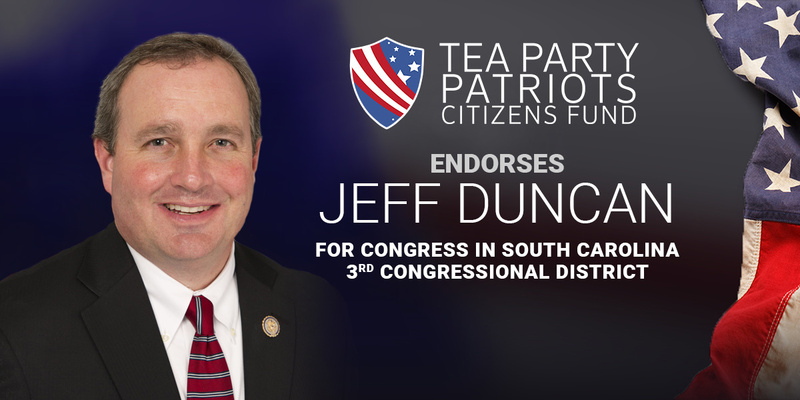 “Citizens in South Carolina’s 3rd congressional district know they can count on their incumbent Congressman, Jeff Duncan, to stand up for the conservative principles that made America what it is. “Jeff is a solid constitutional conservative, dedicated to the proposition that the federal government is already too large and already spends too much money. He is a leader in the fight to spend less, and to borrow less. He has fought for tax cuts, to both leave more money in the pockets of those who earned it and to kick-start the kind of economic growth that creates more and better and better-paying jobs. “Perhaps more importantly, Jeff has always been willing to stand up against his own party’s leadership when it’s gone down the wrong path. In 2015, he was the only South Carolina Republican to vote against John Boehner for Speaker, and he was one of the founders of the House Freedom Caucus.